The Super Bowl is quickly approaching and I thought it would be a fun to try and replicate a classic Mid-West dive bar specialty to go along with my pickled eggs…none other than the pickled sausage. I fondly remember my grandmother’s bar off Route 4 in Ohio where pickled eggs sat on one side of the bar and pickled sausage on the other. Since leaving Ohio back in 1998 I have often thought back on those little delicacies and wished I had a big fat jar of them in my fridge. Well, I decided to take the bull by the horns and take a crack at making my own. 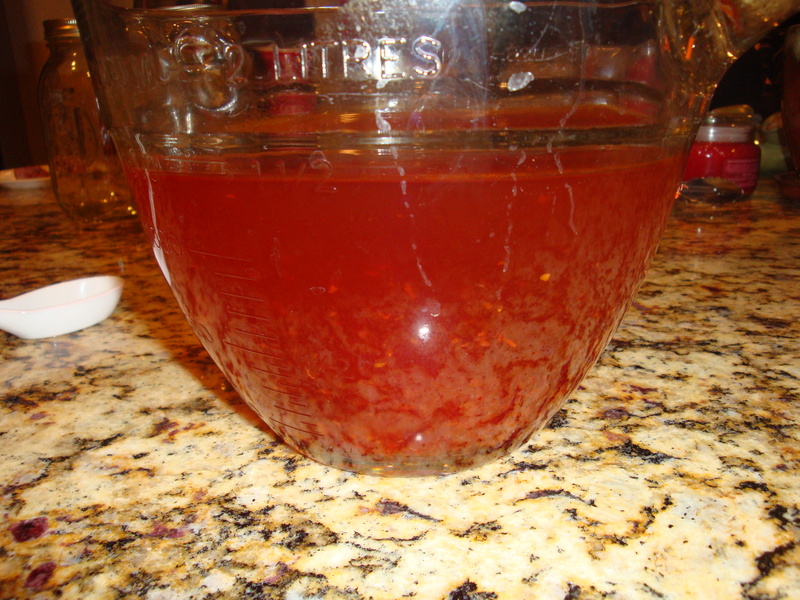 I did quite a bit of research on pickling recipes that I thought would come closest to what I remember and finally ran across one that sounded good. Next I began thinking about what type of sausage to pickle and saw the Fresh Garlic Sausage recipe in my Charcuterie book. I already had some pork shoulder on hand and decided that this would do the trick. I gathered the other ingredients and prepared to proceed with the pickled sausage project. 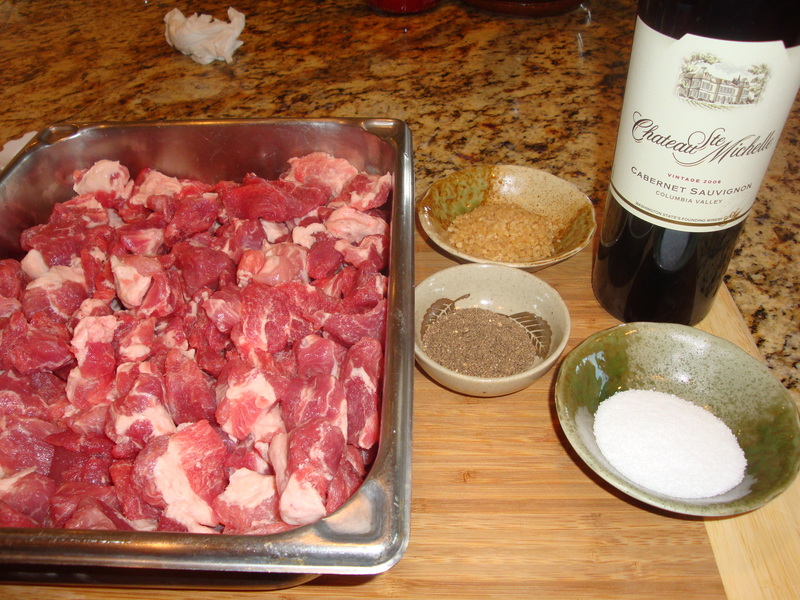 After grinding the pork I mixed it with the spices and wine and mixed for about 3 minutes (until the paste looks sticky). Again, I cannot stress enough the importance of temperature. Cold is the key and I like to refrigerate/freeze my grinder blade, plate, stuffer, pork and wine to ensure all remains nice and frosty. Next, I decided to stuff the garlic sausage into sheep casings which are much skinnier and would pickle much quicker than a sausage stuffed into a hog casing. After all of the garlic sausage was stuffed I hung it in the smoker at 180 degrees and hit with about 2 hours of hickory smoke and smoke cooked until the internal temperature hit 160 degrees. Once the garlic sausage was cooked I transferred it to an ice water bath so that I could quickly cool it down and prevent shriveling from occurring. 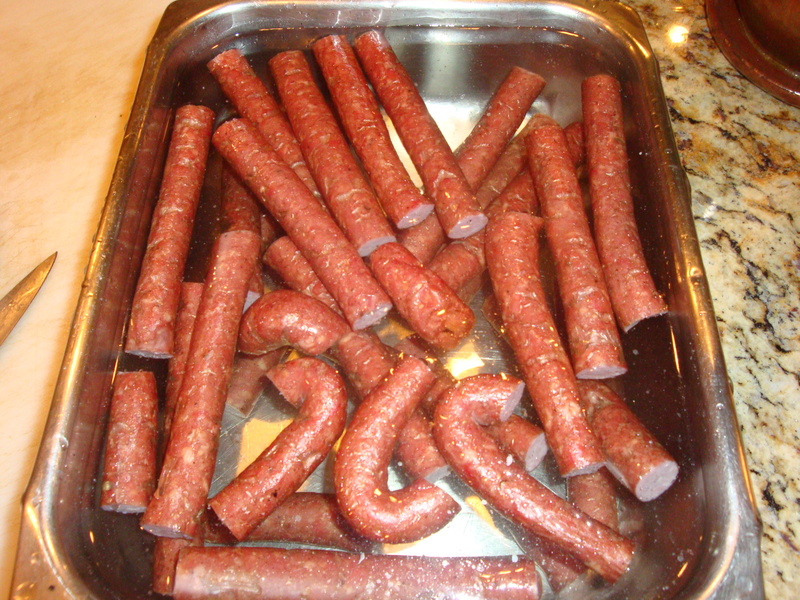 Last I cut the garlic sausage sticks into the exact length of the jar where they are going to pickle in. I brought the pickling mixture to a boil and then chilled it in the refrigerator. 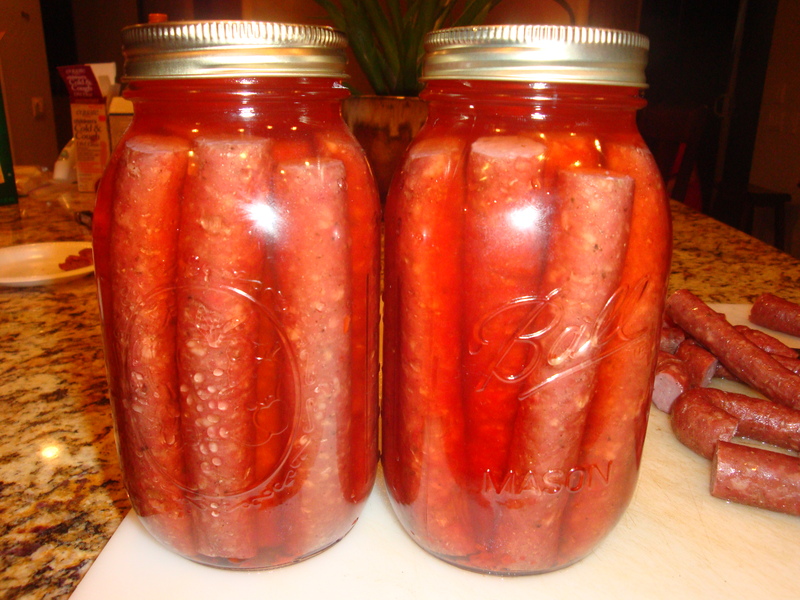 While the pickling liquid cooled I stuffed the jars with the garlic sausage sticks and then filled with the cooled pickling liquid. I waited for about 3 weeks and tried a stick and saw where the potential was there however, disappointed that the pickling liquid had not fully penetrated the sausage stick. I decided to remove all of the sausage sticks and use a needle to thoroughly poke the sausage. I returned them to the jar for another 3 weeks and am happy to report that the pickling liquid had worked its magic. 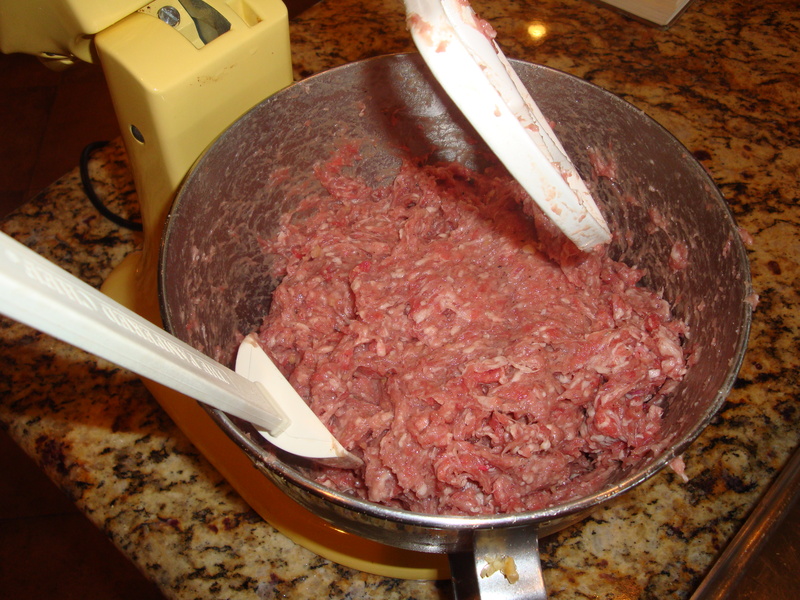 With that said, I am not sure that garlic sausage is the right sausage to use and will try again with something else…most likely a beef sausage style. 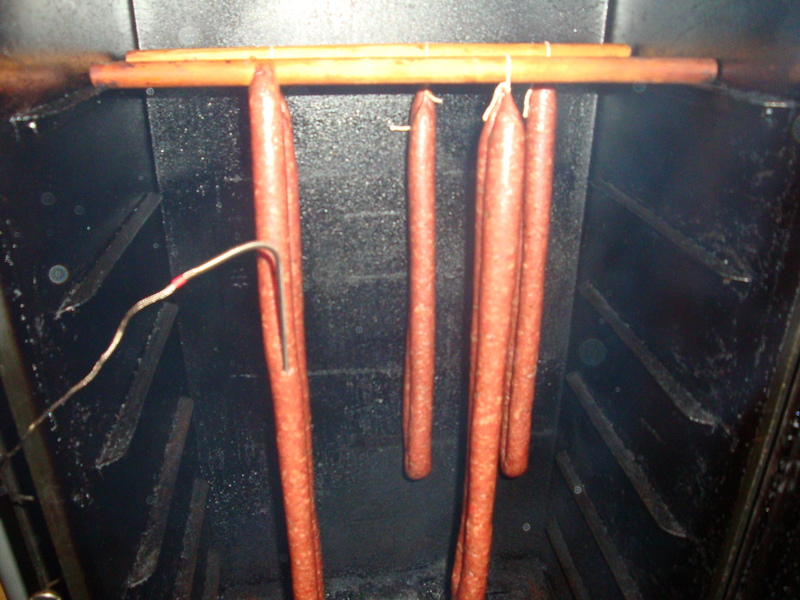 On a final note I am excited to report that I finished two batches of what will be my first dry-cured salami. I did a 5 pound batch of the Peperone and a 5 pound batch of the Tuscan Salami from Charcuterie and have it in my curing chamber as we speak. It is only 2 days in and I was happy to see nice solid coating of white mould on each of them today…for those who don’t know that is a good thing! I will put a post up in a few days.